The Hyderabad Metro Rail on Wednesday celebrated its first year in service since commercial operations were launched on November 28 last year. 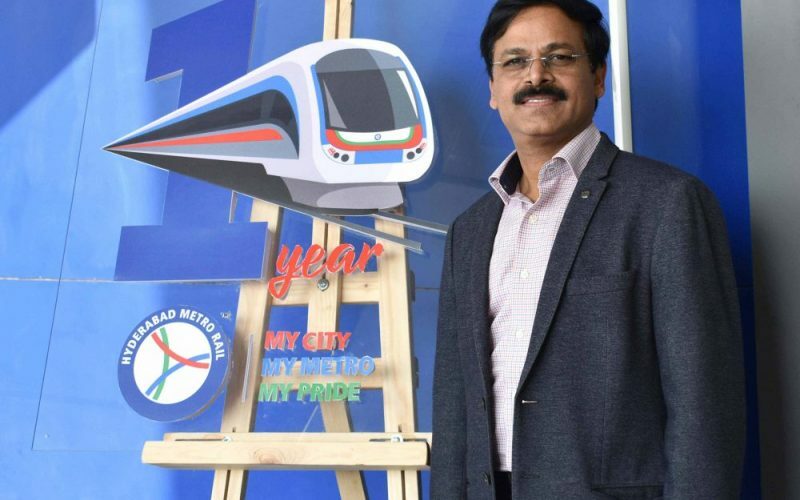 Hyderabad, Metro Rail News: Celebrating its first anniversary, L&T Metro Rail (Hyderabad) Ltd Managing Director KVB Reddy unveiled the first anniversary logo and travelled along with children from Aadarana, a home for orphaned and needy students, in a joyride. Over 32 million passengers have used the metro over the past 364 days since Prime Minister Narendra Modi inaugurated last year. 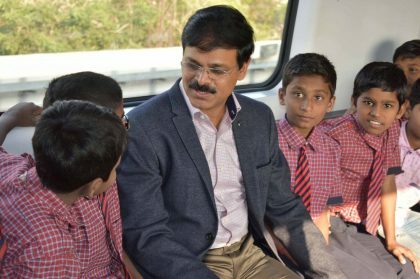 L&T Metro Rail (Hyderabad) Ltd Managing Director KVB Reddy unveiled the first anniversary logo and travelled along with children from Aadarana, a home for orphaned and needy students, in a joyride. The project highlights thus far include completion of Corridor I of 29 km–Red Line, from Miyapur to LB Nagar covering 27 stations and Corridor 3 of 17 km – Blue Line – Nagole to Ameerpet covering 14 stations. The line connecting the IT hub of Hitec City is at the advanced stage of completion. On Hyderabad metro first anniversary, L&T Metro Rail (Hyderabad) Ltd Managing Director KVB Reddy commenced trial runs on Ameerpet – Hitec city stretch today! The metro has introduced various Last Mile Connectivity options including electric vehicles, rent a bike service, rent a bicycle service, cab aggregator service, and bus service at Metro stations.